This is my second post today. I'm trying to get caught up posting all the pictures I've taken. Even as a child I was enchanted with photography probably because my Dad was into photography. As a young adult, he, with his brother Clyde, experimented with the latest cameras, even taking double-exposures of themselves and developing their own photos. Dad set up a developing lab of sorts in the basement in our "fruit room." It had no windows so was totally dark when the door was closed. My brother Bruce and I spent some happy hours developing black and white photos -- and yelling crossly at our younger sisters when they opened the door at a critical moment! 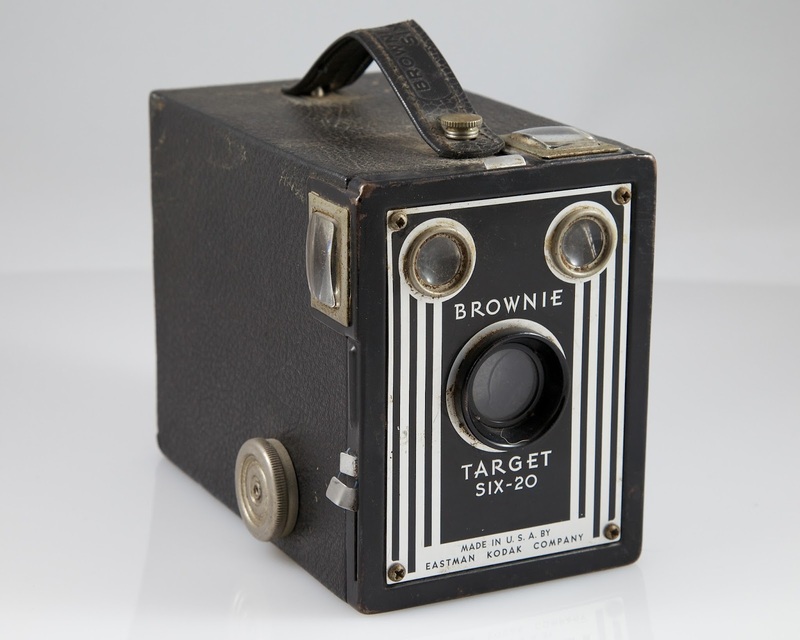 My first camera was a Brownie box camera. I still have it as a memento of my younger years. I think I was using the Brownie camera when I first saw Old Faithful Geyser in Yellowstone Park, Wyoming. I was so excited when the geyser erupted that I took two rolls of film. I couldn't stop clicking. I never knew Old Faithful would shoot up for so long! When I got the expensive film developed, I had 48 pictures that basically all looked the same!! My family teased me unmercifully. Now with digital photography, I take even more pictures and print them into books. This blog will be printed when I am home from this mission and it will be a wonderful memory of the 19 months we will spend in the Kenya Nairobi Mission. It has been a life-changing experience. I have learned so much. I have learned how much work it takes to run a mission and there are 421 missions in the world. I have learned of the dedication of the mission president and his wife and the missionaries who serve under them, serving at their own expense. And I've learned to love a culture and a people that are very different from my own. I've lived in Kenya and have also visited Tanzania and South Africa on this mission and have also visited Egypt. This huge continent is absolutely amazing. We in the West have no idea of the diversity and beauty that is here. Here's something important for Missionary Moms and Dads and tourists to take note of: as of August 28, plastic grocery bags are against the law. You can't even carry them in public. There is a fine of up to $40,000 US and/or two years in prison. Pass this on to anyone coming to Kenya. I hope this is a step toward cleaning up the trash. How I loved holding my Brownie camera by the strap about waist high and looking into the view finder on the top, then clicking gently the shutter on the side. (I always thought the face of the camera was . . . a face!) I never knew how the picture would turn out until the pictures were developed. I had to take the film to Johnson's Taber Drugstore and they sent it away to an unknown mysterious place for developing. About two weeks later, I had the precious pictures in my hands. We never took many pictures back in those days because it was so expensive. Now, with digital photography, we take too many pictures! Now on to pictures of the here and now. So glad we moved into this second-level apartment. We have a balcony where we can sit out and read in the evenings. Our next-door neighbors are doctors who work at the nearby Karen Hospital. There are several doctors in our compound, all from India. And our flat is light and bright. The kitchen looks out over the compound of a Salvation Army church. The kitchen is tiny and sometimes LeRon and I bump into each other as he helps in the kitchen. Lots of cupboard storage. We were happy to run into our former neighbors -- Caroline and her son Yaro. They moved away a few months ago and we've missed them. They used to live above us. Caroline is going shopping. Now that plastic bags are against the law, she carries a big African basket. She and Yaro have lived in Germany and so are quite European as compared to other Kenyans. Yaro is part German and part Kenya. And then as we were visiting with Caroline, along came our neighbor, Faye. Fun to visit in the store! Faye's sister, Bethany, is heading back to school in England soon. We'll miss her. I've seen men carrying these long things for sale and always wondered what they were. I thought maybe they went under doors to stop the draft since no Kenyan doors have weatherstripping -- except our back door because we brought weatherstripping back from Chicago when we went to Heather's wedding. This man was excited when we pulled over to ask them what they were selling. He said they were back scrubbers. When they are wet, they are flexible and you use them to scrub your skin. For 100 Ksh (about $1) I couldn't resist buying one and I made this man's day. I bought a small one but don't intend to use it. It's made from a dried cucumber-type vegetable (which can be eaten before it's dried of course). and is called a Luffa or a Luffah. This is what the inside of the scrubby looks like. You can see where the seeds of the cucumber came out when it was dried, leaving just the fiber. Google says the following: If the loofah is allowed to fully ripen and then dry out on the vine, the flesh disappears leaving only the fibrous skeleton and seeds, which can be easily shaken out. Marketed as luffa or loofah, the sponge is used as a body scrub. As of this coming Monday, plastic grocery bags are against the law. You can't even carry one in public. If you are caught, you (residents and tourists alike) can be fined up to $40,000 US and or 2 years in prison. You can buy cloth bags at most stores. Many Kenyans carry woven baskets. Some stores like Carrefour at the Hub provide these fabric bags. They're nice except if you're buying something like ice cream that might get moisture all over everywhere before you get home. We have the coolest slugs here that come out when it's wet. Or they just come out for the fun of it. This is what Faye and Joy call "a James broom." James is the compound handyman who sweeps everything with homemade brooms. And why not use what is on hand? These brooms actually do a good job and when they wear out, they can easily be replaced. I'm always astounded at what African women do with their hair. It's either braided or brushed and when it's brushed it looks "wiry-soft." Usually when hair is soft you can count on it being a wig or extensions. But when it is "wiry-soft" it has been brushed. Our talented cleaning girl, Cecilia, does her hair differently almost every day. At least weekly anyway. Cecilia wants me to put her in my suitcase and carry her home to Canada with me. Cecilia cleans better than anyone I know. She really works hard for the small wages she gets. We're standing outside of the mission office beside the lawyer's office, which is just next door. And above is a security company. The funny thing is that every day, Cecilia, the cleaning man from the lawyer's and the cleaning girl from the security company ALL wash and scrub the outside sidewalks. They get scrubbed THREE times a day! We have the cleanest outside and the cleanest inside of any office! Now here's a pile of missionary mail waiting to be taken to the missionaries any way that we can. A lot of the mail will be taken by Sister Msane to the Nairobi West Stake Conference this weekend. Some of it will go when our Housing man, Peter, goes upcountry to fix missionary flats. Some will have to wait until MLC (Missionary Leader Council) or until the next Zone Conference. Mail is hard to distribute and takes a lot of time. Postal systems do not work here like they do in the West. This is a funny picture to post. The wall in our bedroom has been getting worse and worse. We finally realized that on the other side of the wall is the bathroom shower. We inspected the shower and found that half of the tiles weren't even grouted. No wonder water has been leaking through the wall. We checked the other bathroom and same thing. Who can forget to grout tiles?? Building standards here are definitely not like in the West. Today LeRon has caulked with clear caulking all the tiles in both bathroom showers. Then after a while we will scrape off the paint and paint again. Ah . . . We were in the cute little vegetable market that we like to shop at in Galleria Mall. These are Shokeshoke fruit from Tanzania. Zanzibar I believe, which is an island off Tanzania. Shokshoke is the Swahili name. The other name is Rambutan and it is a fruit that grows naturally in Southeast Asia. In fact it grows as easily there as do apples in the West. It's a curious looking fruit! These are some of the fruits and vegetables we bought at the vegetable shop. LeRon has bleach-washed them for me. To eat the fruit, you carefully cut the outer shell with a knife. Or, the man at the shop said that you can pry it apart with your fingers. Then the white ball of the fruit pops out. I took a bite of the shokeshoke and it was very sweet. You don't eat the seed. Apparently some people eat the rind and all. Just not the stone inside. They bite it just like we bite an apple! This is the view from our balcony. Still a bit cold for swimming but some people swim in the middle of the day. That was super interesting! Wow, the fine is high for plastic bags!